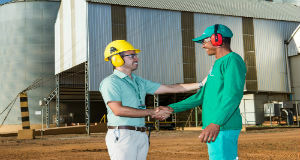 SLC Agrícola believes that excellence in the management of economic, social and environmental aspects has, as a result, the reduction of environmental impacts of its operations, improving the quality of life in the workplace and guaranteeing satisfactory results for its investors and shareholders. Sustainability in SLC Agrícola is based on these principles and in the Company Big Dream: to positively impact future generations, through global leadership in agribusiness and respect to the planet. The programs and actions adopted in the Company have, as components, economic management, consistent social responsibility policies, well-structured individual and collective protection programs, promotion of environmental education and information, as well as adoption of the best practices and agricultural technologies. All this is aimed at minimal impact on the environment. With these actions, we believe that it is possible to produce food, fuel and clothing for the world’s population in a sustainable way. 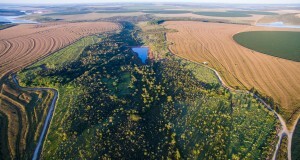 The preservation of native areas on farms is a legal compliance that is provided for in the Brazilian Forestry Code. These areas ensure the maintenance of rivers and springs, and shelter animals and plants. It is prohibited to access these areas and use them to hunt, fish or any other type of activity. 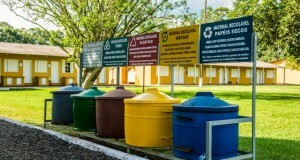 Waste management at SLC Agrícola is grounded on the 3R’s approach: Reduce, Reuse and Recycle. Farms have the structure to contain and temporarily store contaminated and uncontaminated waste, to later be used or disposed of appropriately. Natural resources used by SLC Agrícola are many, from soil and water up to industrialized agricultural inputs through other natural resources, such as fertilizer. The Company optimizes its resources in order to use them in the best way, avoiding waste. To educate is to recover the past, cherish the present and take care of the future. Why invest in environmental education? SLC Agrícola believes there is no success in environmental management without the education and guidance of people, even if they have the appropriate infrastructure for this purpose. The information must be correct and understandable to all interested parties. Environmental education is an important and continuous tool within an environmental management system. SLC Agricola’s Farms have soccer and volleyball courts, that are fenced and lighted. The social centers have a TV room, training room, barbecue grills, pool tables, bocce court, playground with toys and sand box for children. Houses and accommodations provide the security of living in a place with no urban violence. The cafeterias follow a standard in service, atmosphere and menu, of course respecting the culture of each region. The machines are high tech to provide more comfort to their operators. Created in 2003, the GAS (Social and Environmental Action Group), through volunteers, conducts various activities with children and young people from disadvantaged communities. Among these are donations of toys and clothes, delivery of food stuff, visits to kindergartens, and donations for flood victims. The GAS volunteer group meets monthly and plans actions for the period. Employees can leave during office hours to do their jobs as long as it has been previously arranged with their managers. 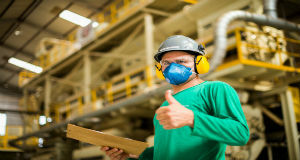 Preparing their employees to deal with new challenges is an ongoing commitment of SLC Agrícola. Thinking about this, the company continuously and increasingly invests in training and development activities, developing projects specific to the needs of the areas and the business, according to the best practices that exist in the market. Qualifying technical and behavioral skills, these actions contribute to the fulfillment of the business strategy and human achievement. SLC Agrícola joined the Working Group for Food and Agriculture which is part of the Brazilian Network of the United Nations Global Compact. The main objective of this Working Group is to end hunger, to achieve food security, improve nutrition and promote sustainable agriculture in Brazil. The Working Groups were created to implement the Global Compact’s values contributing to building a culture of sustainability. The company will participate in this Working Group and support the implementation of strategic actions to promote the Business Principles for Food and Agriculture (PEAA) and the Sustainable Development Objective (ODS). The Working Groups were created to implement the Global Compact’s values contributing to building a culture of sustainability. The activities of these groups include relevant discussion topics for the organization and implementation of projects aimed at cooperation with institutions that work with transversal themes, creating greater synergy between the initiatives. The Company has a team of professionals (Specialized Service for Safety and Health in Rural Work) developing actions integrated with health and safety management practices. This makes the work environment compatible with the promotion of health, safety and the preservation of the physical integrity of the employees. SLC Agrícola continuously identifies hazards, assesses the risks and determines the necessary control measures. All of them based on the priority elimination order, substitution, engineering controls, administrative controls and finally Personal Protective Equipment – PPE. With a focus on safe behavior, the Behavioral Observation Program is developed in the company’s units. Understanding, changing and/or maintaining behavior patterns is essential for the reduction and/or elimination of accidents. The Big Dream of SLC Agrícola brings several factors to the business that requires the standardization of their processes – these are geared towards operations, the business or its management. The Integrated Management System is the main tool for sustainability. A certification process in which economic, social and environmental pillars are supported by international standards of performance such as OHSAS 18001 for Occupational Health and Safety, the NBR 16001 for Social Responsibility and ISO 14001 for Environmental Management. Within the good practices of agricultural cultivation, other certifications of national and international nature stand out for SLC Agrícola commodities, such as RTRS (Round Table on Responsible Soy), CRS (Certified Responsible Soya), the ISCC (International Sustainability & Carbon Certification) for soybean and ABR standards (Responsible Brazilian Cotton) and BCI (Better Cotton Initiative) for cotton crops. Created in 2008, SLC Agricola’s Sustainability Committee brings together directors for decision-making related to sustainability projects within the Company. One of the main actions of the committee was to prepare and review the Integrated Policy, which guides the IMS – Integrated Management System. The IMS is comprised of the ISO 14001, OHSAS 18001 and NBR 16001 standards and permeates all areas and operations of SLC Agrícola. 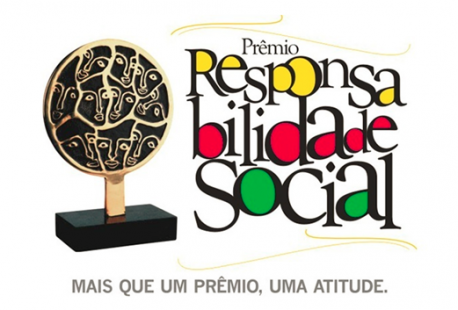 SLC Agrícola won the Top Citizenship Award from Brazilian Human Resources Association of Rio Grande do Sul (ABRH RS) in 2012 with the “Mobiliando Vidas” Project and in 2013 with the “GAS: 10 years of Social Actions” Project. SLC Agrícola is awarded with the Social Responsibility Certificate from the Legislative Assembly from Rio Grande do Sul State since 2006. This certificate is given to the companies that achieve a high punctuation on their Social Balances. Why adopt sustainability as a strategy at SLC Agrícola? Ensure legal compliance and other requirements applicable. Continuously improve our processes and systems, attending to new markets and customer requirements. Create mechanisms to strengthen economic, environmental and social management, minimizing risk and preventing pollution, accidents and incidents. Promote ethics and sustainable development and influence the stakeholders in sustainability practices. Strengthen strategic partnerships with stakeholders that are linked to the Company. 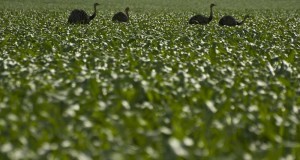 Ensuring high productivity is crucial to compete successfully in the agricultural business. However, the influence of climate is relevant to the performance of crops. Therefore, SLC Agrícola adopted a geographical diversification model that allows the reduction of the variability in production, so if there are climatic problems in one region they can be offset by good performances in others. Furthermore, Cerrado is considered a region with less climate variation when compared to other production regions. Our products have prices set in dollars on the world commodity exchanges and thus they are also exposed to real variations against the dollar. To manage these variables, the Company has established a Risk Management Committee, which meets weekly to assess exposure levels and set mandates for sales of crops, using commodities futures market instruments and exchanges and obeying a Risk Policy which is revised from time to time by the Board of Directors. We look for the integration between a crop rotation system and the exposure to different markets. Therefore, we opted to plant grains (soy and corn) and cotton. They are annual crops that allow for changes to the production mix for each new crop, and they have important synergies between them from an operational point of view. In addition, grain and cotton markets have different dynamics, which provides the company with increased revenue diversification and less dependence on a specific market. The strict control of costs and expenses is part of SLC Agricola’s organizational culture. This starts with efficient systems for monitoring and controlling, standard in each unit, and goes through a thorough policy of continuous reduction of unnecessary costs and the efficient use of resources.